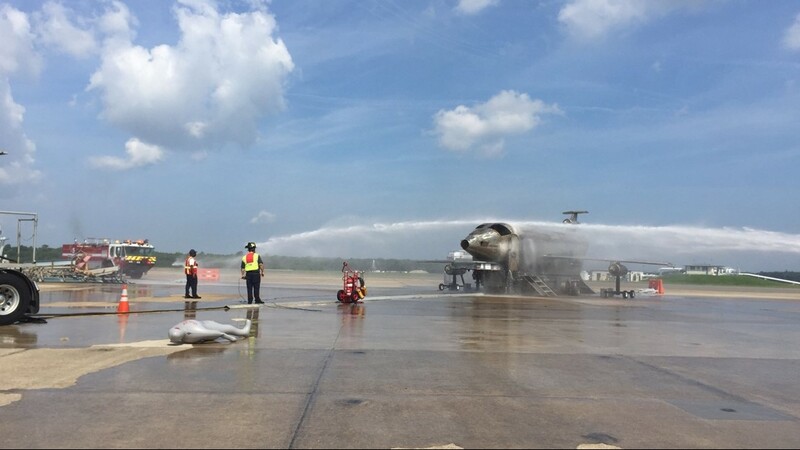 Friday's exercise helps to make sure first responders are ready in case of an emergency. 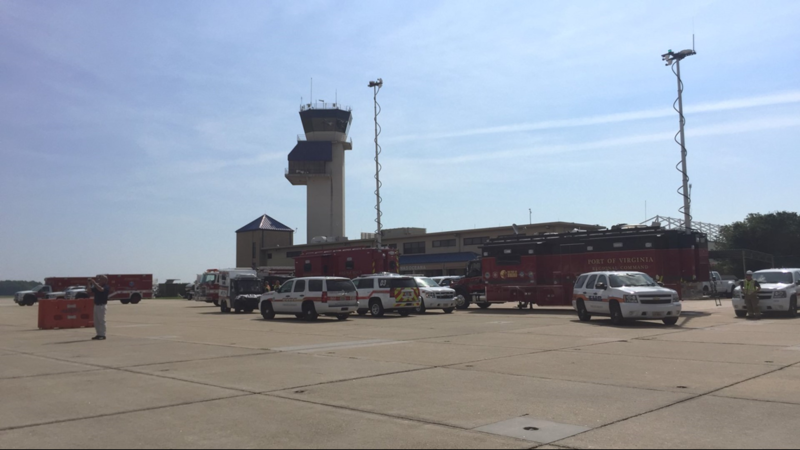 VIRGINIA BEACH, Va. (WVEC) — You might have seen a lot of emergency vehicles and activity near Naval Air Station Oceana on Friday. 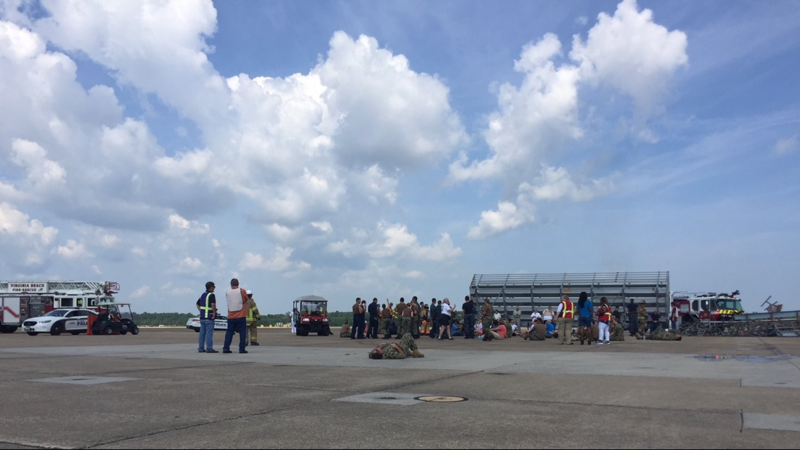 The Navy and first responders trained by simulating a potential mishap, such as a crash. 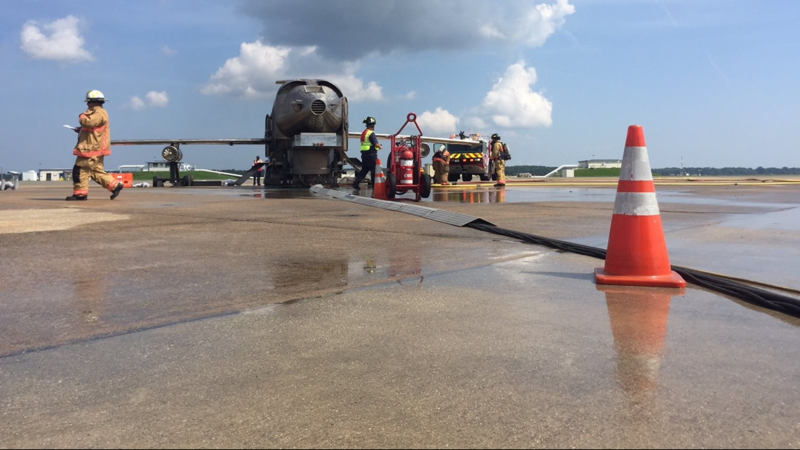 The exercise helped to make sure first responders are ready in case of an emergency. 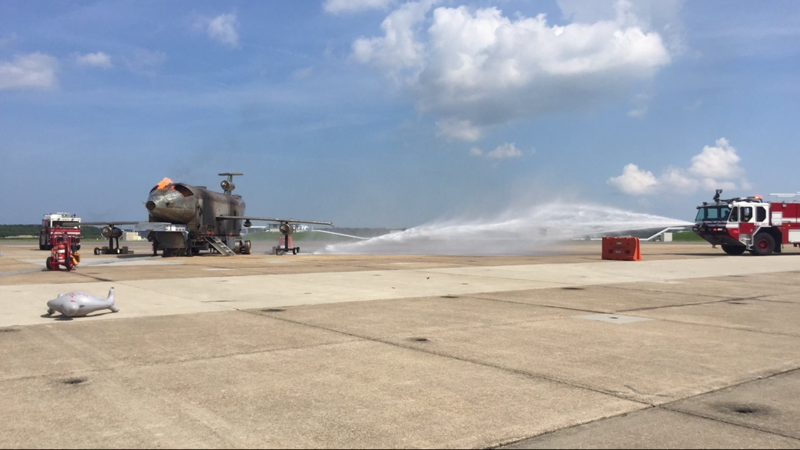 It's being done as part of the preparation for Oceana's annual air show. 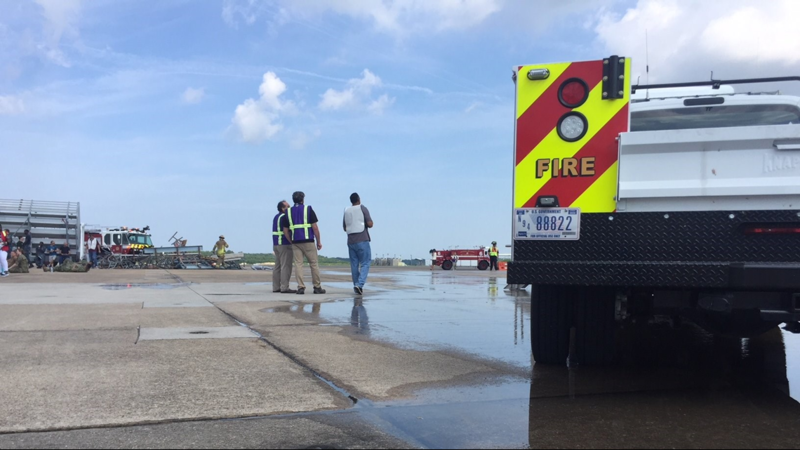 “We just practice just in case we have an incident... we have an aircraft mishap, maybe people in the crowd are involved and we need to evacuate those people to local hospitals,” said NAS Oceana Commanding Officer Chad Vincelette. 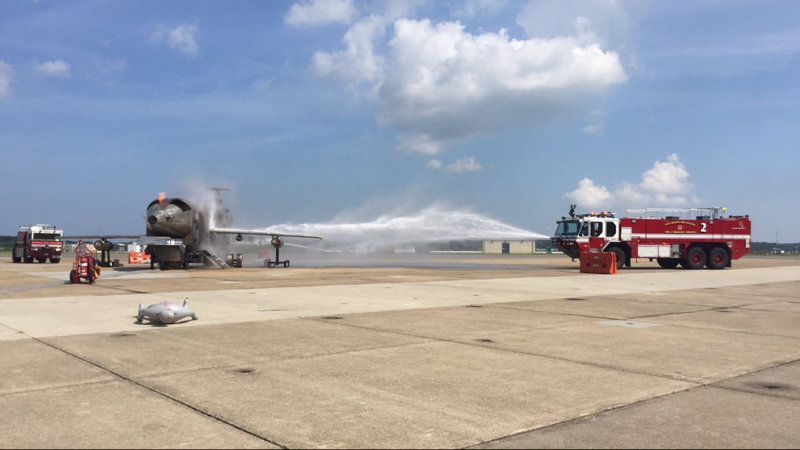 Virginia Beach Deputy Emergency Services Coordinator Erin Sutton said emergency services with the City of Virginia Beach, the Navy, and other regional agencies work together on a regular basis to make sure they’re prepared for any call. “We aren’t trading business cards. We know each other, we know how the battle rhythm works together, so that’s why these are so important every year,” said Sutton. 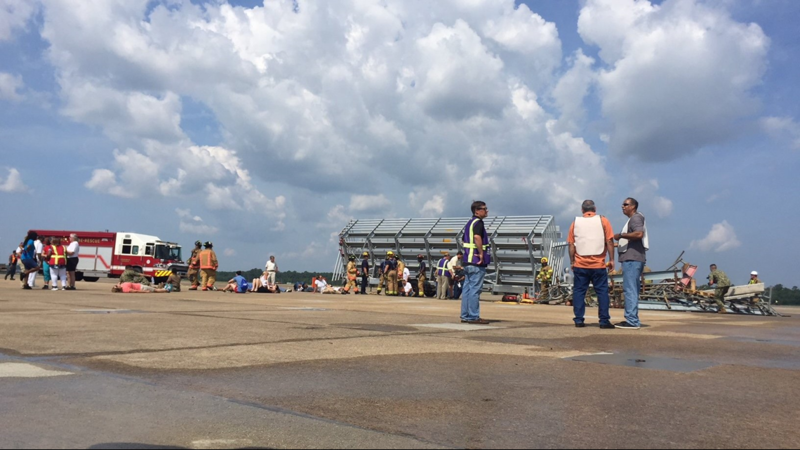 Friday’s simulations included debris flying and hitting a bleacher filled with people as well as a fire trainer up in flames. 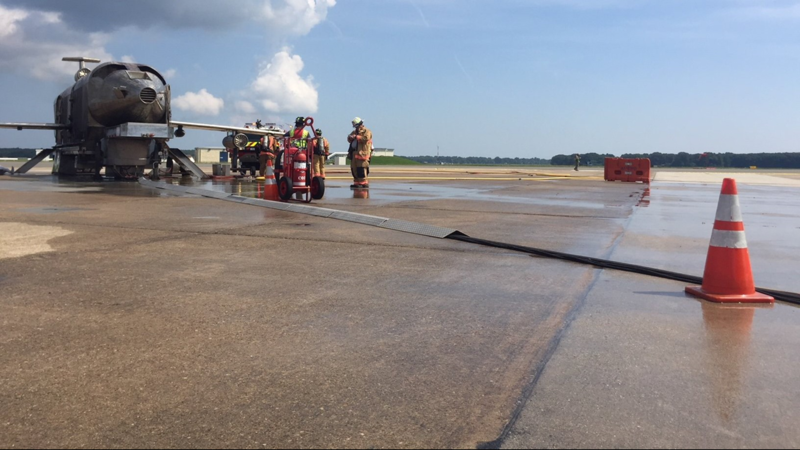 Responders practiced triaging, patient extraction and putting out fires quickly. 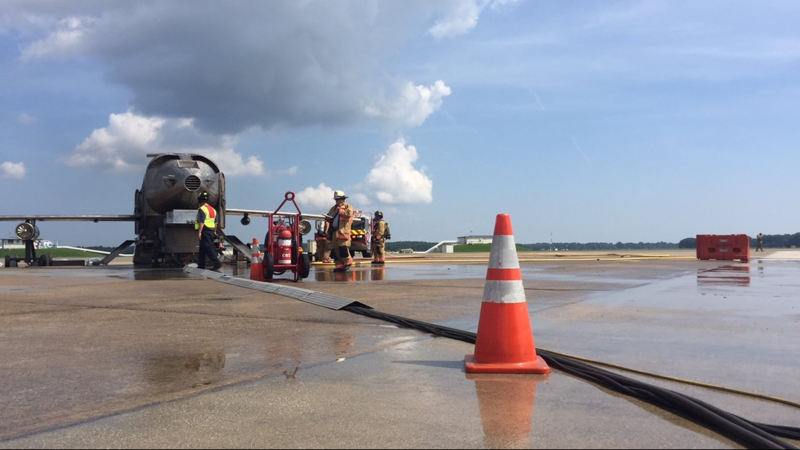 “It’s a scenario that we need to feel like to test and challenge our own teams and maybe utilize a skill set we haven’t needed in a while on an actual response,” said Kenneth Snyder, Navy Region Mid-Atlantic Fire and Emergency Services District Chief. The air show is just over a month away, on September 22 and 23. It's free and open to the public.